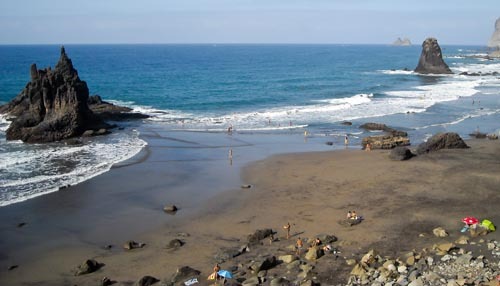 Discover the Benijo Beach in Santa Cruz de Tenerife. 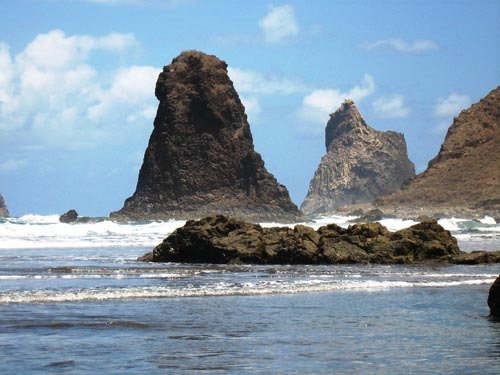 Playa Benijo Beach is located on the town of Anaga in Santa Cruz de Tenerife, on the northwest region of Tenerife. This is one of the most beautiful dark sandy beaches in the Canary Islands. To this beach you might go by car as it has its own parking. 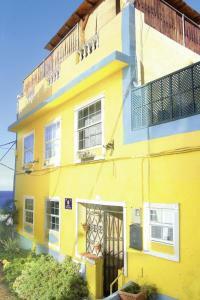 Nearby you’ll find many restaurants with all types of typical canary island’s dishes. We should highlight that in Benijo Beach its usual to practice nudism. Parking, cleaning services, bins and nearby restaurants.